Ghost Recon Online is Ubisoft’s free-to-play take on the popular franchise created by Tom Clancy. This third-person shooter delivers triple-A quality for free, with a persistent character system and 3 classes of ghosts to choose from – Assault, Specialist or Recon – with different play styles to suit every player. Team work is essential to make your squad defeat their enemies, in exciting 16 player online firefights and several game modes. A fully-fledged statistics system tracks your performance and ranking, with new equipment and skills to be unlocked. 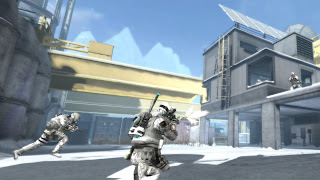 Ghost Recon Online has a great focus on social features and the graphical quality also rivals that of retail games.